To become a member of the Tourism Association of Rincon, the cost is $100/year. Your membership includes a listing on the Rincon.org website which has over 20,000 page views per month and is the highest ranked website for 'Rincon' searches. Your listing can include a photograph, contact information, description of your business and a link to your website. Your membership also entitles you to market your business with emails to other members as well as event postings on the Rincon.org Upcoming Events Page and Facebook Page. Businesses can purchase multiple listings. Your donation supports some of the best events in Rincon including the Rincon Beachboy Standup Paddleboard Contest, the Rincon International Film Festival, the Legend Surf Classic in Rincon and the Rincon Trialo, as well as other marketing efforts to sustain tourism in Rincon such as the IDoInRincon.com website. To list your Rincon business: Fill out the Membership Form below, and send photo (larger is better, send multiple photos to be used throughout the Rincon.org website) or logo and listing text to: wishyouwerehere@Rincon.org. 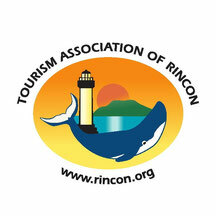 Make check payable to Tourism Association of Rincon (TAR) and mail to TAR at PO Box 1415 , Rincon 00677. Contact Us with any questions: wishyouwerehere@rincon.org. Yearly dues are payable by January 1st each year. Your listing will be removed and subject to a $50 re-listing fee if dues are not paid on time. Business Contact Info (for listing) Phone, email.